Lately I have been very inspired by the long time hugely popular trend of turning photos into watercolor paintings. I got very excited when Julia at Cuckoo 4 design posted these fabulous Waterlogue'ed watercolor images of her hair-bunned daughter. Read more about her images here. I have also been inspired by this gorgeous print of a pink flamingo by Sarah M. Dorsey Designs. Check out her blog. She builds fabulous furniture and just bought a house that she is renovating. I snapped this image of a duck with my old phone a couple of weeks ago when we were at the park. I posted it to Instagram and I am so glad I did because a couple weeks later, I got a new phone and just carelessly deleted all my images in it, including this duck image. Ooops. Yesterday, I grabbed my image from Instagram and the quality was of course much too poor to really print or use as a reference for drawing. Then I thought about turning it into a watercolor and see how that would work out. 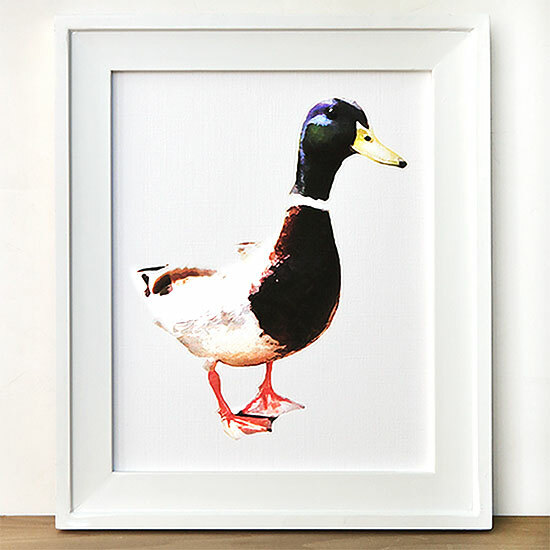 So I first isolated the duck in Photoshop. Then, since I don't have the Waterlogue app, I searched the mighty web and found this Watercolor tutorial which I used. I even turned it into an action, so any future watercolors will be at the click of a button. I am planning for the future like that! Then I printed it out onto white Bazzill cardstock with linen texture. And select print quality "Best"
I love how the print came out. The subtle linen texture adds some great texture to the print. Can you tell? And how about those feet. He certainly is a handsome fellow. You can download this print for free here. There are two different sizes in this download. 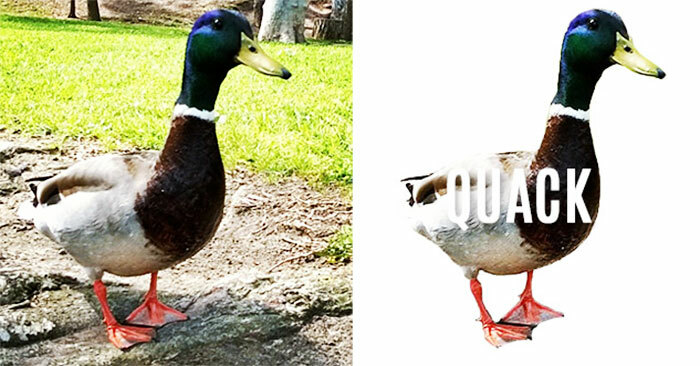 Both are on an 8.5x11 sized paper, but one duck is larger than the other. They both fit in an 8x10 inch opening. This is a free print for personal use. You may not sell this print or offer it as a printable on your site without my permission. 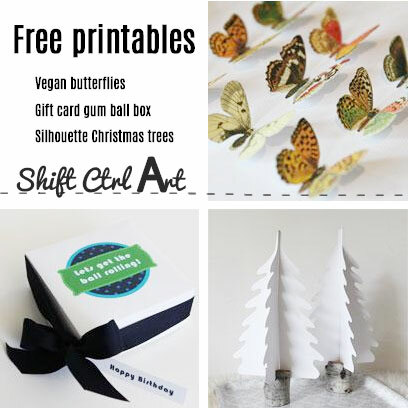 You can find more free printables under my menu tab - wait for it - "Printables". I make it hard to find like that. Here are some of my most popular ones. This is the print framed in an 8x10 frame. Here it is framed in a larger size - 11x14 frame. 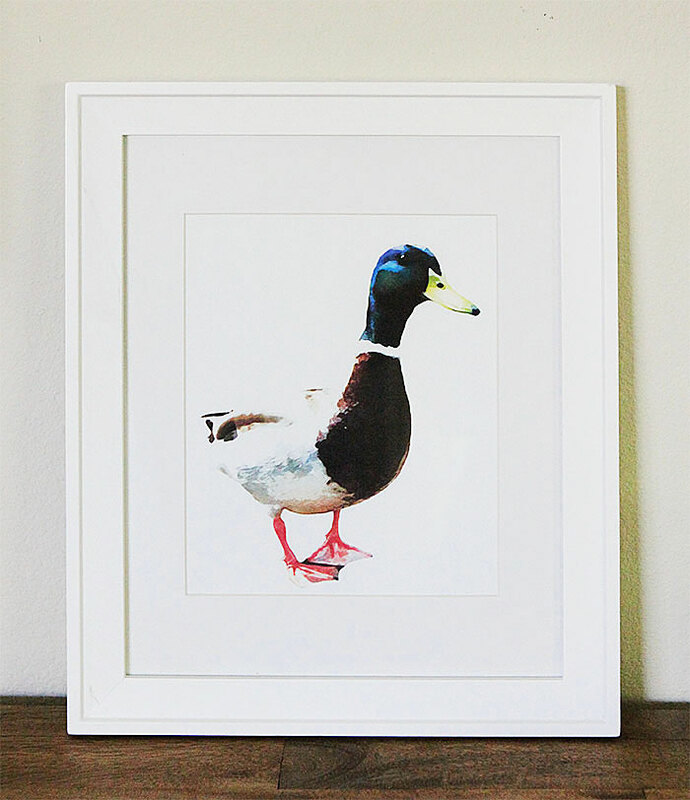 This article: Watercolor duck - free printable and how to make your own watercolor image first appeared on http://ahomefordesign.com.